Take a look at some of the landscapes we’ve created. A townhome corner lot reaches its visual potential with square flagstone hardscape, clean garden design and garden beds with complimentary edging and landscape lighting. 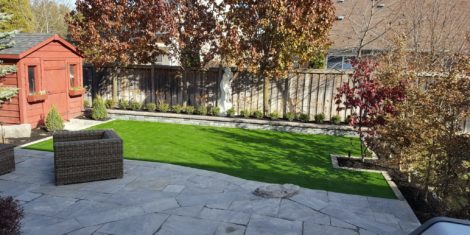 An landscape design overhaul on this Olde Markham detached home included a wood-built privacy fence that encloses an outdoor dining area and living space built on mortared down flagstone. 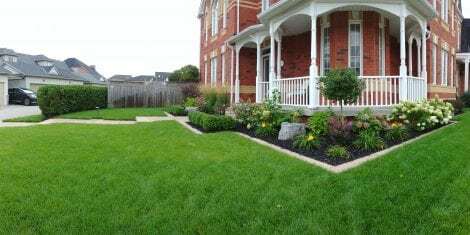 A clean zen-inspired design for a Unionville home’s front yard landscaping brings together tranquil Japanese planting and classic flagstone walkways. A strategically designed landscape was ideal for this Mount Albert property to fully encompass the flow of the property. This installation of artificial turf on a steep plane was quite a unique task which turned out incredible. 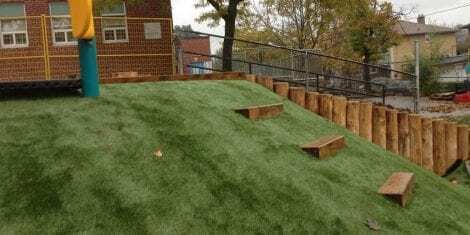 We used STI’s SoftLawn Premium for this job, and with the foam under padding, children are free to play without the risk of getting hurt. A property has seen quite a change in the past year, with a complete renovation from the ground up. This landscape design was made to highlight the ultra modern linear design of the house. A simple porch constructed from pressure treated lumber leads to a gorgeous wet laid flagstone patio with contrasting mortar lines. 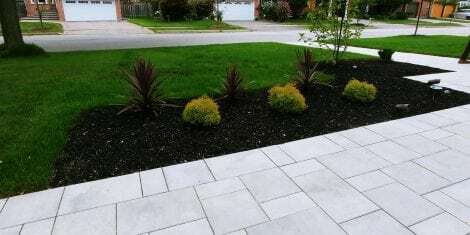 Finished off with natural stone curbing around the garden bed, and premium Paspalum Pro artificial turf from STI. St. Andrew&apos;s had contacted us to create a new tee line for the 2019 season. 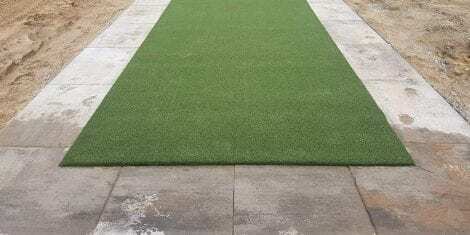 This 100 ft. feature will be sure to impress existing and new members with STI&apos;s top of the line EZ Tee Hybrid which allows players to set their tees directly into the turf for a more realistic swing. 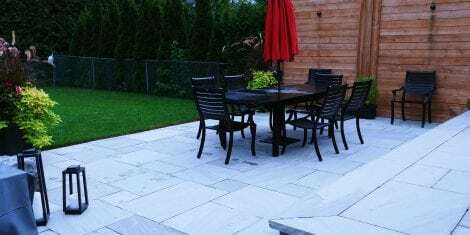 The border used is Mega-Mondrian Plus slabs from Permacon in their Margeaux Beige colour which adds to the classic rustic feel of the course. 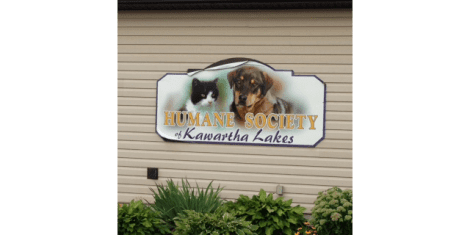 A complete rejuvenation of the outside play area for the Humane Society of Kawartha Lakes. For this application we had used STI's Annual Rye. The patented Silverback polyurethane backing is ideal to withstand heavy traffic and potential punctures from dog claws. 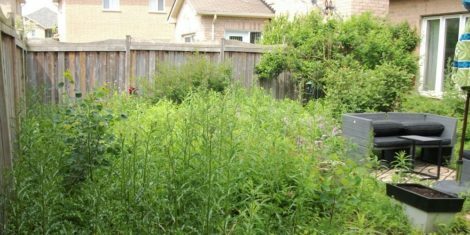 When we went in for the initial site visit, we discovered the backyard to this property was overrun with weeds. 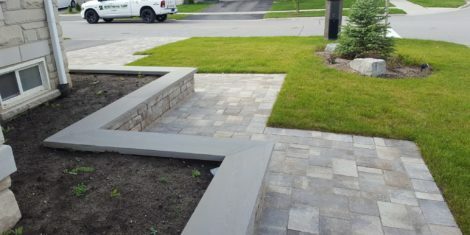 When we went in for the initial site visit, we discovered the front walkway was still in it’s initial state since being built 5 years earlier. During the initial site visit, we discovered the property was well maintained and in good condition but the client was looking for updates. 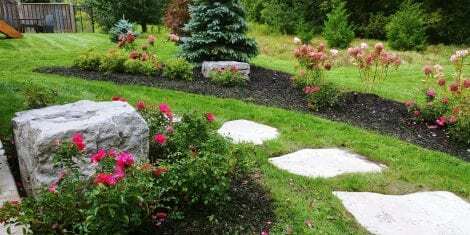 Over the past dozen or so years, we have used Terra-Opus (Caleb Riches) for landscaping projects on three separate occasions. 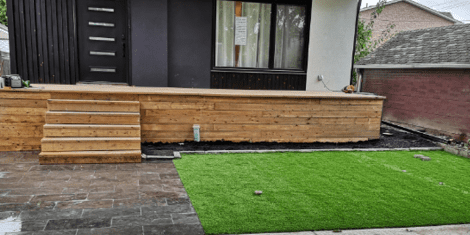 While the nature of the work, the materials needed, and the staff tended to change from project to project, the quality of the finished product did not. We had two jobs done in a year for us by Caleb and staff (retaining wall & front step). Price quoted is the end cost and it’s competitive. The work is outstanding. Caleb has a good eye for design, very professional and accessible; his staff are also professional at their work and courteous and respectful around the job site. For our first job, I got several quotes, for the second job, I didn’t bother. I wanted Terra-Opus back. Terra-Opus provided complete landscape designs of the front and back yard of the property. The job was done on time, staff were friendly and, most importantly, it was excellent quality of work and attention to detail. Very happy with Terra-Opus and would easily recommend and use again. © 2019 Terra-Opus Group. All Rights Reserved.